Tahnee Lacey has studied improvisation at ImprovAsylum (Boston), iO (Chicago) and The Second City Conservatory (Chicago). She has also trained in Voice Over at Bosco Productions and KJ Audio. She can currently be seen performing with the delectable FireCup as well as Fon-Deux. She has previously performed throughout Chicago at The Annoyance, Chemically Imbalanced Comedy, Donny's Skybox and The Comedy Shrine and has performed in various festivals including Chicago SketchFest, Women in Comedy Fest (Boston) and Kassi Festival III. When not improvising she writes and performs with the talented folks at Cornman Productions and hangs out with her cats and watches the Food Network. You can find out more about her at: http://www.TahneeLacey.com. 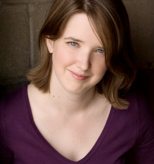 Annie Rijks is a graduate from the Second City Conservatory and Musical Improv Conservatory and the ComedySportz Chicago Training Center and the iO Training Center. She currently performs in Battleprov at ComedySportz Chicago as well as with Master Sancho at The Playground. She also writes and performs with Cornman Productions. She hopes she has spent enough money to be funny. 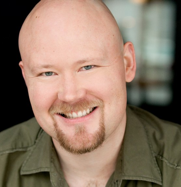 Born and bred in the heart of the Bluegrass, David came to Chicago 5 years ago from Carlisle, KY. A graduate of the Second City Conservatory and iO Training Program in Chicago, he has directed, produced, and performed in numerous sketch and improv shows across the city. David holds a B.A. in Drama and Music from Centre College, Danville, KY.